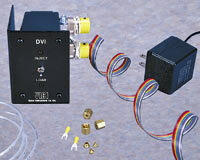 We highly recommend the DVI for use with two position air actuators. It sends a two second pulse of air to switch the valve and then vents the air, simulating switching by hand and eliminating the potential for damaging the valve or actuator with continuously-applied pressure. It also features LED position indication, manual and remote operation, and a contact closure output on arrival to the INJECT position, a feature which can be used to start a run or integration. 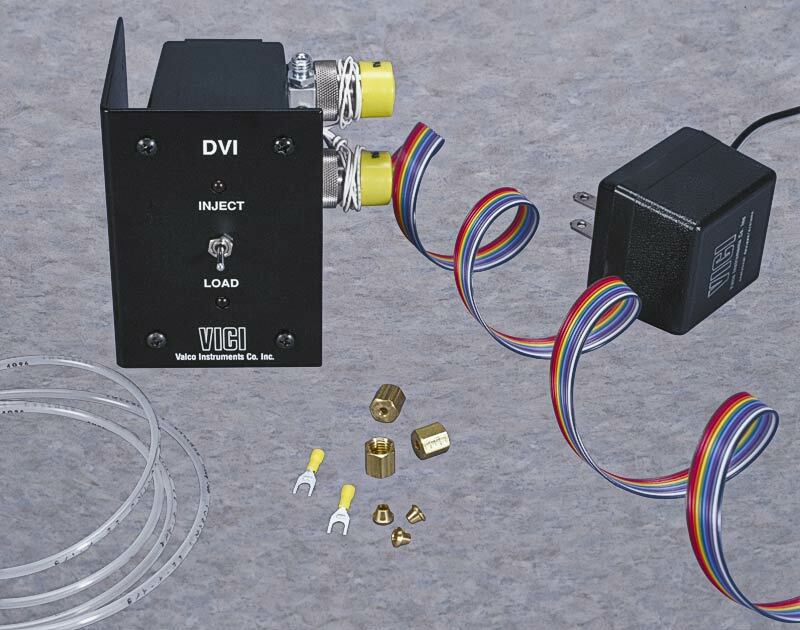 The DVI is available for 110 or 230 VAC. Non-CE; use restricted within the EU.